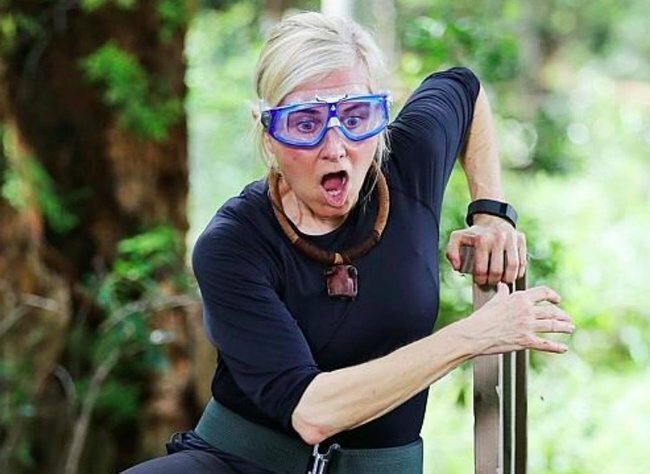 Maureen McCormick banned from friends at I'm a Celeb. Maureen McCormick is banned her from seeing her "I'm a Celebrity" co-stars. Brady Bunch star Maureen McCormick appears to be in trouble with her hubby and it might be comedian Joel Creasey‘s fault. Creasey spoke to News.com about a night out he had with the McCormick in LA that led to a total ban on all future “I’m a Celebrity” meet ups. I’m with Maureen McCormick. I’ve taken her to a gay bar. She is amazing. “I took her out to dinner and she and I consumed several bottles of wine,” Creasey, 25, said. “We played pool all night at a gay bar in Santa Monica called The Roosterfish and I sent her home in such a state that other I’m a Celeb contestants who have tried to hang out with her in LA since haven’t been allowed to because her husband has said no,” he continued. Not impressed. Image: Channel 10. “She’s been banned from catching up with us," he revealed. Has your partner ever banned your from doing something? Video via I&apos;m A Celebrity...Get Me Out Of Here!